Kiindly is an iOS-compatible cashback app that offers 80% off luxury deals. The app is affiliated with over 1,200 trusted stores, including Macy’s, Ebay, Target and Walmart. 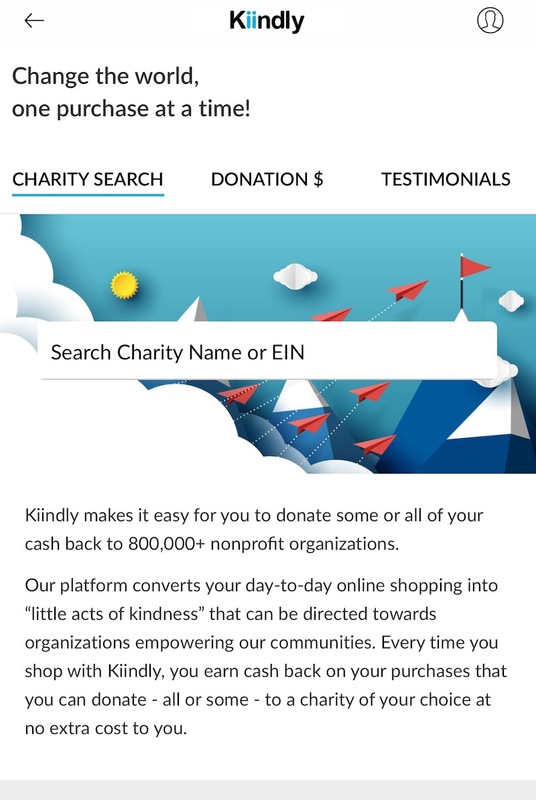 You can check top online deals on clothing, travel, education, technology products, office furniture, etc., use discount coupons available with Kiindly to shop at your favourite stores online and claim savings. Cashback is paid via eCheck or PayPal. Getting Started: Registering on Kiindly is absolutely no-cost and hassle-free. Use either your email account or social account. However, registration is not an obligation for checking shopping offers, discount coupon codes or cashback offers. 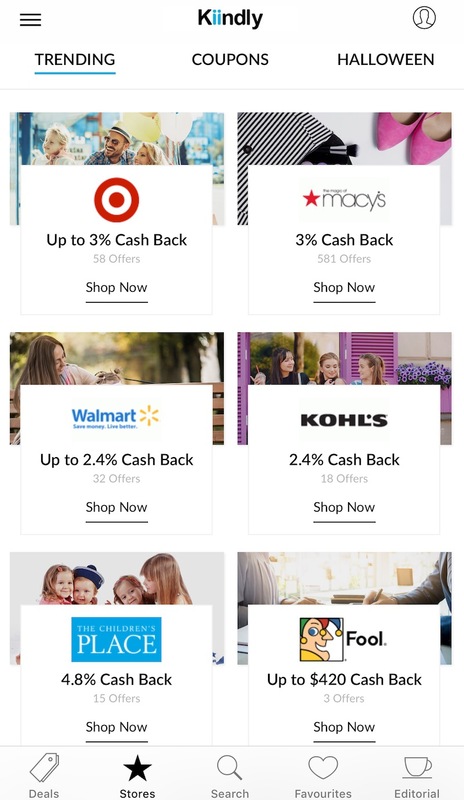 Shop by Categories: The coupons app allows you to find deals or best offers by categories including All, Women, Men, Home, Kids and Tech, available on the Top to the Home Screen. Find Brand Specific Deals: If you wish to shop by brand specific coupon like eBay coupon, Macys coupon code, Best Buy coupons, etc., navigate to the Stores section available at the Footer. Check Personalized Offers: The cash back deals app personalizes your experience based on your profile and what you frequently search or buy. 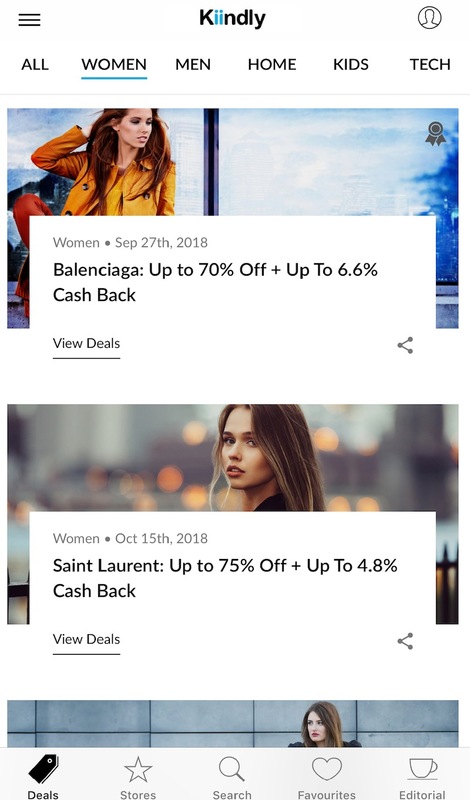 It lists all relevant deals under the Favorite Section. Stay Informed on Lifestyle Trends: The app also helps you stay abreast of the lifestyle and fashion trends. Read related blogs under Lifestyle. 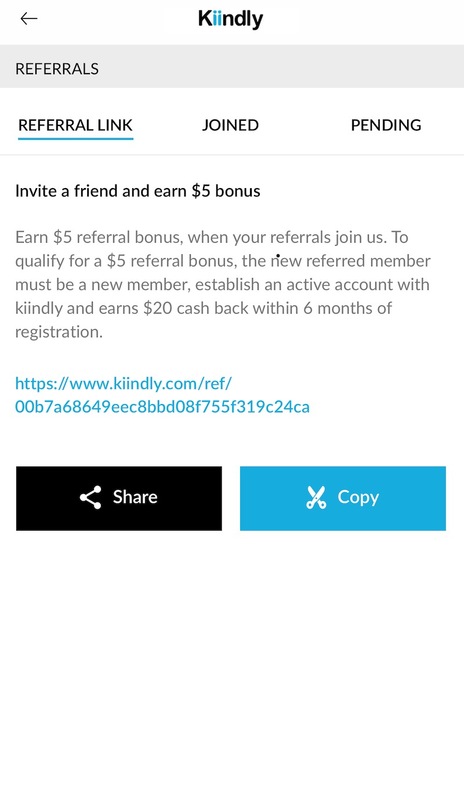 Earn a $5 BONUS for referring a new member to Kiindly! Qualify once the joined member earns $20 cash back within 6 months of joining. Use your earned cash back to make a difference! Transfer it to your bank account or give a portion or all to a charity of your choice. Wow!! This Kiindly app looks such a wonderful app. Who doesn’t like to save some money. What better way to save your hard earned money at the comfort of your home. I hope it comes to India soon.